Every year, I like to make at least one substantial coat. 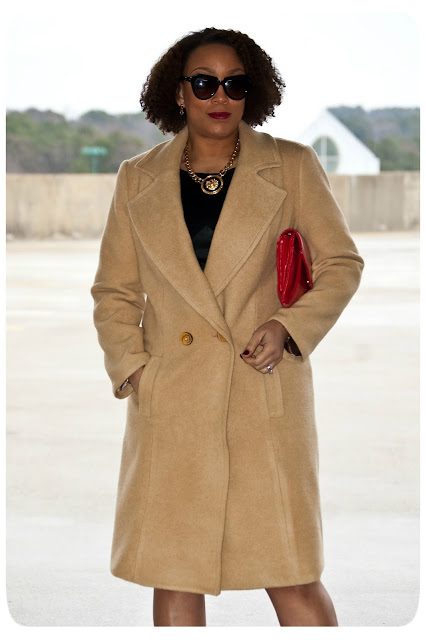 Last year, it was my beloved cashmere pea coat. 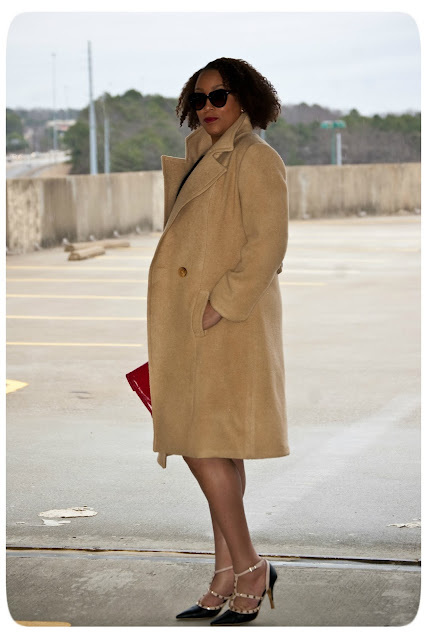 So this year, I decided it would be a classic camel hair coat. 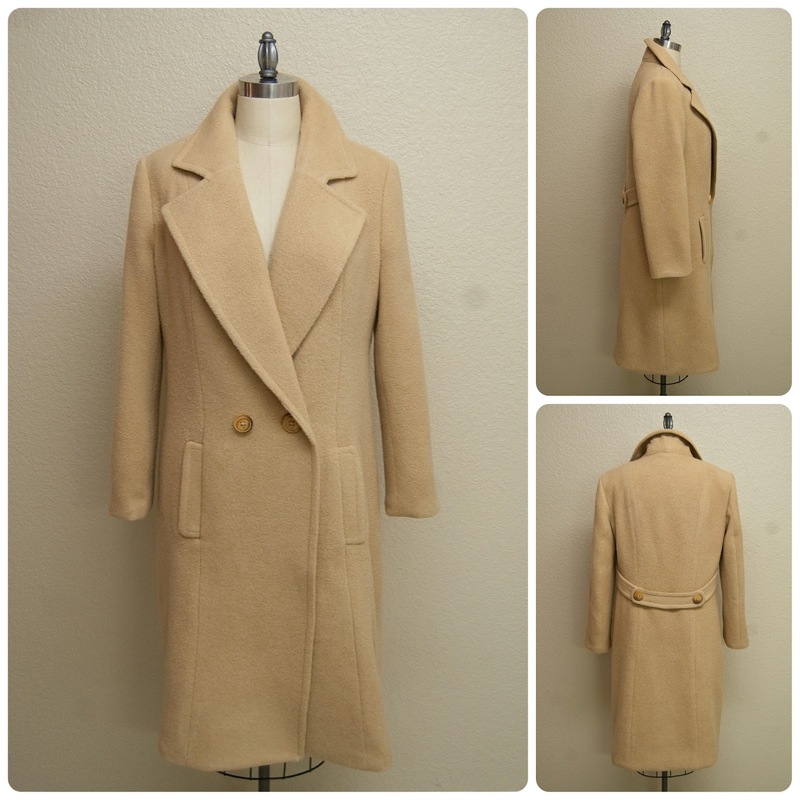 I wanted a coat that I would love and cherish for years to come… nothing trendy at all for this project. Just timeless elegance. I picked this beautiful camel-colored 100% camel hair fabric. It’s described as “a heavy-weight camel wool with a long brushed nap. Very soft, slightly spongy.” This is a napped fabric with a raised pile. Which means it’s best to layout your pattern and cut (on a single layer) with the nap running down the garment. It’ll wear better and pill less. With ALL pieces going in the same direction. Also, since this fabric is thick, I used a 100/16 needle and a 3mm stitch length. And I pressed the fabric on the wrong side using a fluffy terrycloth towel underneath. This is my first time sewing with camel hair, so it was all experimental. I followed the instructions for interfacing. But I padstitched the collar and taped my roll lines on my lapels. I also interfaced my hem. I also added a back stay and custom made shoulder pads. 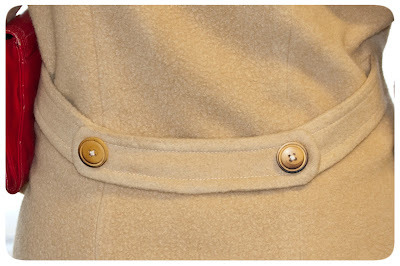 In conclusion, the idea that I created a coat that is similar to coats produced by designers such as Max Mara, makes me very happy. 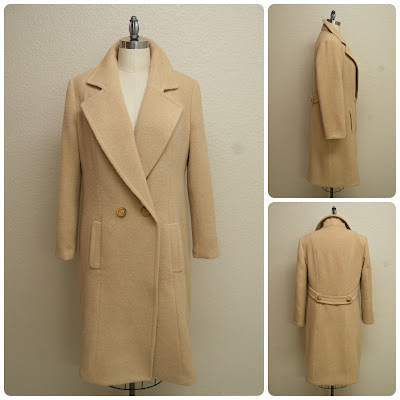 Coat making is really easy, but there are just a lot of time-consuming steps. You have to (with experience) teach yourself how much tailoring and/or shortcuts you want to apply to your constructions techniques. 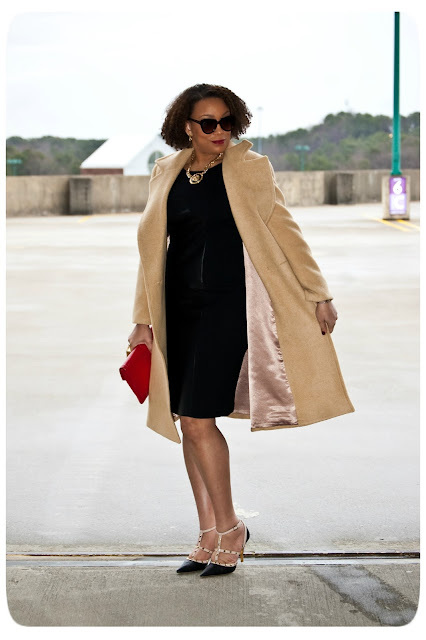 And most importantly, that timeless beautiful fabric is really what makes a great coat, so choose wisely!